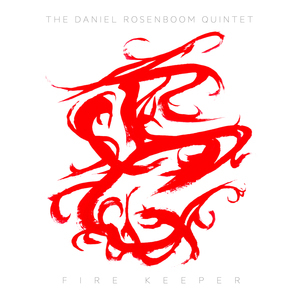 Daniel Rosenboom is proving to be a prolific fellow, releasing two albums last year and (so far) this one in 2014. As usual, Rosenboom combines rock, jazz, and classical in a rather unique and engaging fashion. Rosenboom wields the trumpet, and is joined by Gavin Templeton on sax and winds, Alexander Noice on guitar, Kai Kurosawa on the BearTrax (a custom 12-string bass/guitar), and Dan Schnelle on drums. But these guys aren’t afraid hit it hard, paying homage to rock and jazz often in the same track. The result is a complex, yet ultimately catchy, set of tunes. But be careful – you might break a few bones trying to move your body to Fire Keeper. As the debut release of Rosenboom’s new imprint, Orenda Records, this quintet has set the bar high, and I’m looking forward to what else the label offers.